Mexican political power broker and former presidential candidate Diego Fernandez de Cevallos was released by his kidnappers nine days before the information was made public, the La Jornada newspaper reported Thursday. Fernandez de Cevallos, who spent nearly eight months in captivity, was set free on Dec. 11, but the information was not released until Monday, the newspaper said, citing National Security Cabinet sources. The politician was released in Queretaro, a city in central Mexico, after his family paid a $30 million ransom, La Jornada said. Officials recommended that Fernandez de Cevallos “spend a few days recovering so the traces of the blindfold would go away and he could get full medical care,” the sources told the newspaper. President Felipe Calderon and National Investigations and Security Center director Guillermo Galvan were aware of the politician’s release, La Jornada said. Fernandez de Cevallos negotiated the ransom himself, persuading his kidnappers to accept $30 million instead of the $100 million they initially demanded, the newspaper said, confirming information first reported by the daily Milenio on Wednesday. The ransom was delivered Dec. 10 by the captive’s son, Diego Fernandez de Cevallos Gutierrez, and attorney Antonio Lozano Gracia. They carried the $30 million – most of it in U.S. currency – in 17 packets to a rendezvous at a bridge located between Mexico City and Toluca, capital of the surrounding state of Mexico, Milenio reported. 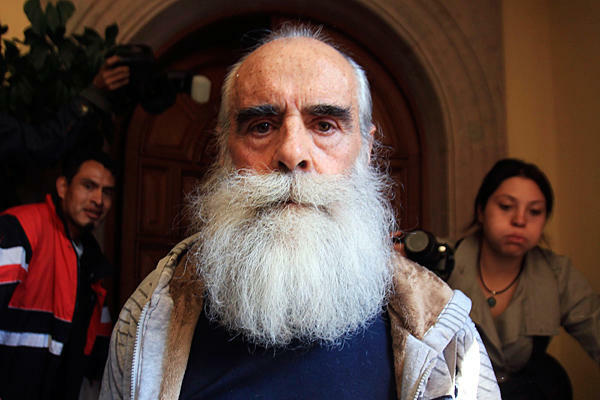 Fernandez de Cevallos, who appeared before the media Monday at his Mexico City home just hours after his release, has so far declined to offer many details about the kidnapping. Security officials consulted by Efe have refused to provide details about the case. The 69-year-old Fernandez de Cevallos remains a leading member of the ruling conservative National Action Party, or PAN, nearly two decades after losing the 1994 presidential election to Ernesto Zedillo. He disappeared May 14 from his La Cabaña ranch near San Clemente. The politician’s vehicle was found at the entrance to the ranch’s garage, with traces of blood inside. A group calling itself Misteriosos Desaparecedores (Mysterious Disappearers) claimed responsibility for the kidnapping and released four statements during the politician’s captivity. The group issued a statement Sunday, titled “Epilogo de una desaparicion” (Epilogue to a Disappearance), announcing Fernandez de Cevallos’s imminent release. Some analysts suggest the politician was abducted by former guerrillas, while others suspect that the kidnappers were current or former police officers. In his comments Monday, Fernandez de Cevallos said both political and financial factors were involved in his kidnapping. “They considered me a man who was an enemy of their causes,” he told Radioformula. Fernandez de Cevallos has been one of the most powerful figures in the PAN and Mexican politics in the past two decades. Known for his fiery oratory, “Boss Diego” was a member of the lower house of Congress from 1991 to 1994 and a senator from 2000 to 2006. He also runs a successful law firm that has represented both Mexico’s blue-chip corporations and reputed drug kingpins. WHERE does a politician get $30million?????? While most of his countrymen are living below the poverty line. he set it up himself.... 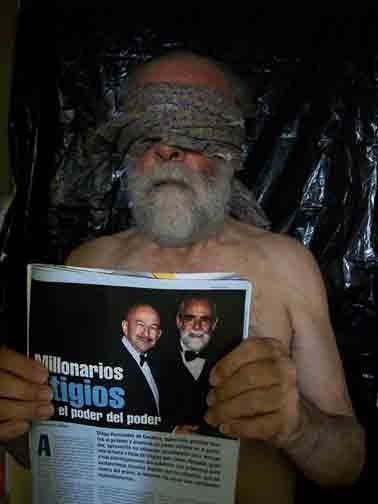 He has way more than 30 million old Narco Amigo!